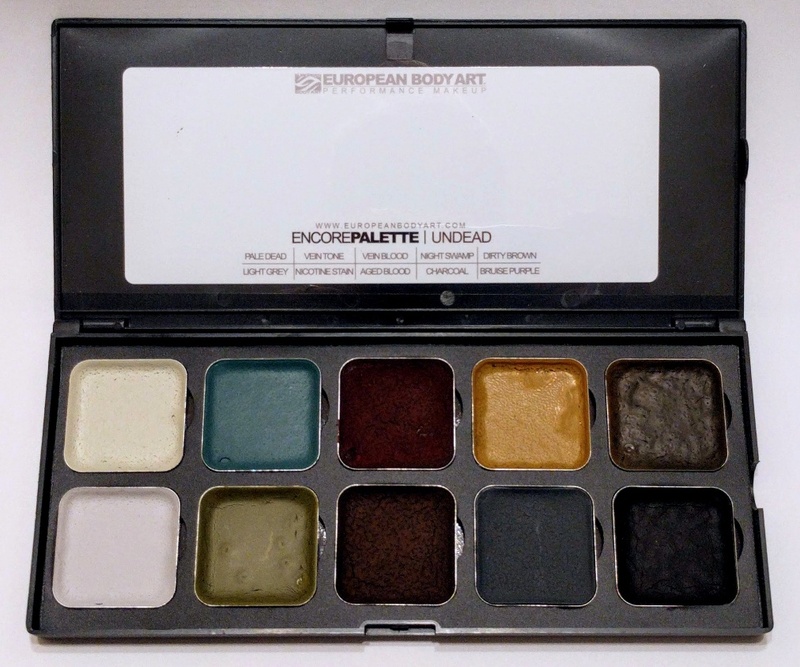 We offer the Encore Alcohol Activated UNDEAD Makeup Palette that is waterproof and won’t rub onto your costume. Since difficult colors are already mixed for you, you’ll be able to create zombies, aliens, monsters, vampires, ghosts and evil characters. This palette makes it easy to create rotting flesh, pale skin, fresh and dried blood, bruises, burns and more. Tip #1: Since nothing is ever a single color, you’ll get the best results when you apply thin layers using different colors. Tip #2: Use an old toothbrush to spatter on a darker color such as “Dirty Brown”. The spatter will break up the surface and your makeup will look even more real. Don’t over do it – less is more. Compare with our AUTOPSY palette. Why Are Encore Alcohol Palettes Unique? Encore pallets feature an innovative magnetic case that is the first case ever designed when it comes to alcohol activated palettes. 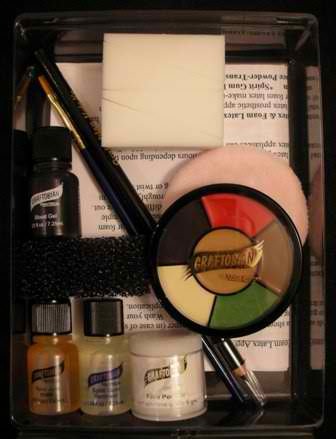 The magnetic case allows makeup artists to rearrange and replace individual colors easily based on their project. Each refill is dry and ready to use. 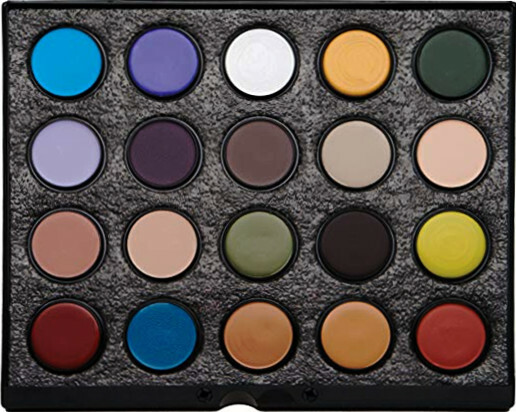 Makeup artists can stock up on popular colors or quickly restock a color when needed. The lower profile border allows an easy entry when using wider brushes and sponges.